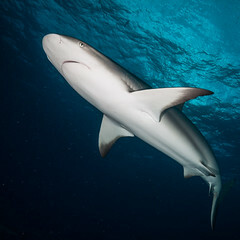 After four years continuously encounter, we and a blacktip reefshark has a strong bonding each other. This photograph shows that Mitita, a Carcharhinus melanopterus estimated at 10 years old, shows respect each other. This shark has been circling us around for more than 200 shark dives in the Blacktip Point, Island of Mitita, South Waters of Morotai. Want to meet the Mitita? 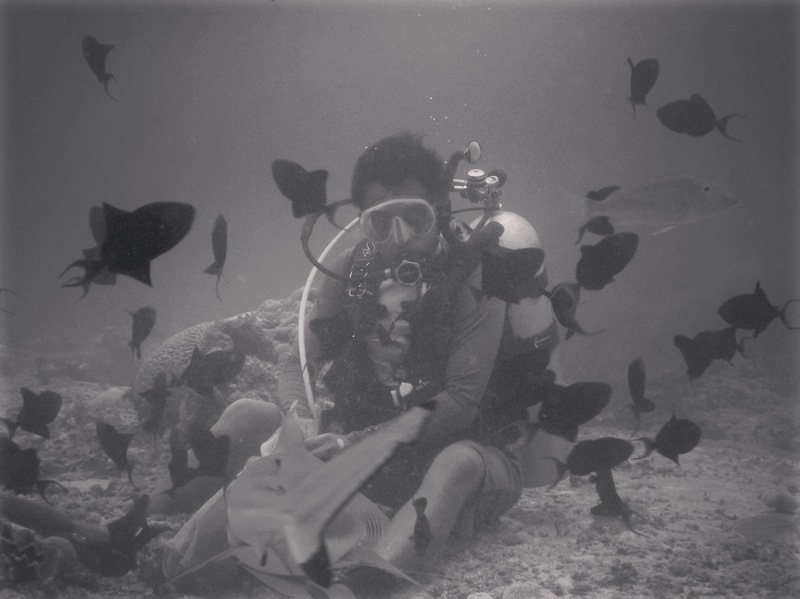 dive with us!